The older I get the more lonely my rides are. It is increasingly difficult to find riding buddies that can either ride at my level or be kind enough to hold back so I can keep up. Last years metrics are memories at best. Finished a specific ride in 1 hour and 28 minutes last year - odds of me doing it again this year are VERY slim. I quit asking questions - most answers would be from riders young enough to be my sons. OLD riders are basically ignored as a group - evidence Strava and the several year fight to get them to add age groups - when they finally did - they stopped at 75! Training plans, diets, suplaments etc - again you are on your own. Even your meds will likely have a bigger impact on your riding abilities. Bike gear and kits? Try finding cycling bibs shorts or jerseys that will fit your non-std body shape and hopefully provide sun protection. Try finding a set of gloves with extra padding. Bike equipment - you get shorter and probably heavier so bike fit is changing almost every year. Bike computers - can't read em any more need bigger and brighter screens. Mirrors used to be for nerds. A FEW YEARS AGO I could look under my armpit to see what was going on behind me - now I am lucky if I can turn my head enough to see sidewise. Now can't safely ride without a mirror. And the doctors - finding one that even begins to understand your fitness level and unique needs is impossible. I asked two respected heart docs how I might go about determining my maximum safe heart zone. They both answered 220 - my age! Hell that's 141 bpm. If I stuck to that I would only be able to ride on flat land - no hills allowed. BUT old age is not an excuse to do less. So what if you can only average 12 mph on a flat four mile ride. You just rode four miles and that is probably four miles more than any of your neighbors. Last edited by ctpres; 06-30-18 at 02:52 PM. No need to worry about speed, or trying to keep up with anyone. Just ride at your pace and not try to duplicate was others do, and as mentioned above, whatever miles you ride are your miles, and you can bet that you are riding a lot more than millions of people at your age, even if it's a just few times around the block. Riding a bike doesn't have to be a marathon. So many thoughtful and knowledgable comments – you folks are really great. Every and every comment has been read and hopefully absorbed into my thick skull so that I'll retain a little piece of your collective wisdom. Thanks to all! Good for you! I try to hit the gym (Y) a couple of times a week for strength and range of motion exercises (ok, I lift weights)...and being conscious that I do not mend like I used too---I carry pepper spray for over ambitious canines (check your local laws, both concerning pepper spray and canine owner responsibility). If/as you increase mileage and start looking for another bike, double down and buy the best drivetrain on the most comfortable frame that you can afford. Hydrate and don't neglect mid ride snacks. Cheers! I'm 66 but have been riding for quite a while. One of the biggest issues is getting a proper setup. There was an earlier post about fitting which is the same thing. Most issues are knee, hip, and back. You don't need a professional fitting, but you should make sure you are not causing any problems. I have always used the KOPS (knees over pedal spindles) setup or slightly back for mountain bikes. Getting the saddle height correct is also important. The last area is stem length and handlebar height. This is more about comfort and a higher and a bar closer to you may be easier on the back. As for riding, you should strive to ride with a higher cadence (rpm's) that getting lugged down in a high gear and slowly turning the pedals. Traditionally 90rpm has been the goal, but for recreational riding, I would think somewhere around 70 would be good, maybe a little less. It is something that you can build up and still be comfortable. In my mind this is really important. I'm younger than many that posted here but have always had knee issues. I almost always ride between 90-110 rpm for the cadence. My dad was a gear masher and I've never been comfortable with a slow cadence in a big gear. I really like riding alone. When I join a group ride I get tired of the competition that people have. I can be competitive and I'm usually able to be out front of our local groups a lot. But that's not why I ride. I don't even use heart rate monitors, computers, etc. anymore. I ride to enjoy myself, improve my health and have a sanity check for the rest of my crazy life and all the activities of my last two kids. I, too, want to congratulate you on the weight loss ... that is REALLY a great accomplishment. And, great news that you're looking into cycling as a form of exercise and fitness ... I expect many on this forum consider cycling to be not just physical exercise but a stress reliever and sort of a mental and spiritual escape. - First, don't stress over what others are doing ... in terms of speed or distance or what they're wearing or how much their bike costs. Cycling is meant to be a fun activity and we shouldn't make it stressful by comparing ourselves to others in a way that makes us discouraged (vs. using it as motivation to improve). There will always be someone riding faster and longer etc etc ... just enjoy whatever place you're at and any personal goals you may have set for yourself. - Increase your riding according to your own pace and health ... find that sweet spot where you're challenging yourself but still having fun and not risking your health. - Stay active ... whether riding regularly or other exercise ... especially as we age, we atrophy/fall out of shape very quickly. It's a bummer to feel like we're starting all over again because we keep taking breaks from our fitness routine. I say this as someone who is NOT disciplined to exercise doing things I don't enjoy. I ride regularly because I really love it. So, find a regimen that is enjoyable to you so you'll be motivated to stay with it. - As others mentioned, and especially if you increase your mileage ... a bike fit and a bike with a more comfortable (non-racing geometry) will help in making longer times in the saddle more comfortable. Related to that ... get a comfortable saddle and don't overinflate your tires (that can make the ride feel more harsh). Keep us posted on your progress ... always love to hear how riders are doing in the sport we all love! First...congratulations on losing that weight. That's impressive and represents an ability to control your destiny. A valuable trait for cycling as well as life. A couple things to consider. You may be tempted to diet while on the bike. Don't. Your nutrition needs during cycling will be different than the routine you employed to lose weight. A book like this (https://www.amazon.com/Cyclists-Food.../dp/0971891117) will help you to understand your cycling/nutrition needs. Be patient with your progress and enjoy the ride. Try to learn something on every ride. You will learn about your body, the bike (things like cadence and proper shifting) and the environment (everything from climbs, descents, paces and wind) and how your attitude changes from ride to ride. There's so much to learn and it all contributes to your sense of well-being. Have fun. Good info guys. I am 59, and just got back into road biking after a 25 year hiatus. Fortunately, I have no health problems except for two fragmented discs in my lower back which stopped me from running many years ago. Stretching, and exercise keeps the lower back pain away. Anyway, I recently got back on the bike. I've noticed hills, and my wind are the limiting factor. Also, recovery takes much longer than when I was younger, and in much better shape. I am very relieved that even with the relatively extreme position on a road racing bike, it has not caused any lower back pain. I feel great on the bike, almost the same as years ago except for my endurance, but that is also changing as I ride myself back into shape. 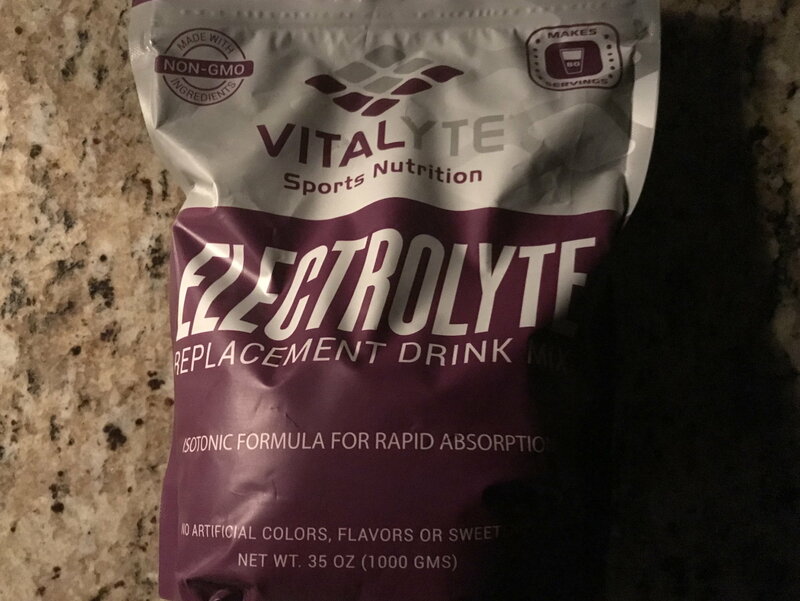 Any suggestions for an additives to water to help keep electrolyte levels decent? There is so much sound and helpful advice given in this thread, I wish I could thank each of you individually for your time and patience with a new guy... very sincerely appreciated. Congratulations on the weight loss. You have my respect. To add to this very informative list, I have a good quality elliptical that I use when I can not get out on my bike. It can be 95* here for days on end and while two days may be fine the third can take me off at the knees. I use the elliptical for the rainy and 95* days and bike the rest. I also have a adjustable set of dumbbells and the elastic bands with two anchor points on a wall. They are secured into the studding and allow me to have a high or low point to work from. The elastic is a good exercise group for me and allows me to adjust the resistance. Just some other ideas that work for me but may not for you. That is fine, just try to find something you can do on a regular basis to keep your muscle tone. I have to do a series of yoga based stretches every morning as I have a birth defect of my vertebrae. I had back surgery to correct a herniated disc in 2001 and another disc blow out in 1989 or so. Keeping my back muscles, that still work, in shape has been an ongoing thing for me for over thirty years. Trust the posts here that say to not stop if you can help it. Very hard to get it back not to mention making improvements at my age,70 in Oct.
Be safe and have fun, Frank. Pay attention out there! In a short time, you will gain some confidence and feel quite comfortable at cruising pace. All good. But continue to watch the road ahead of you. A pine cone can take you down if your not paying attention. Also beware of shadows that can hide holes and debris. Yes, you're right, I took too-wide of a turn into a church parking lot driveway (going too fast for my ability) and got caught in that space where the grass meets the asphalt. After picking myself up and realizing I'd survived the tumble without broken bones, I checked out the bike and slowly peddled home with a sore hip, a few scrapes, and injured ego. After that, I realize I need to take your advice seriously for sure. Last edited by canerods; 07-09-18 at 11:54 AM. I use this and order off Amazon....it works and is not too sweet. Sorta like a Gatorade lite. 1) Give your body time to adjust. Growing older doesn't mean you have to stop engaging in the active things we love and enjoy. However, it may take longer for us to recuperate than it did when we were younger. 2) Weight training. The best way to cycle better is to get stronger (and lighter, congratulations on that), and the best way to get stronger is through weight training i.e, progressive resistance. Its been proven that even people in their 80s can make significant improvements through proper weight training. Just remember to take it slow in the beginning, and give yourself time to adapt before moving to the next level. After that, don't be afraid to push yourself. Too many of us are frightened by the notion of really push ourselves as if there's an inherent danger in doing so. Barring any physical malady, becoming sedentary is the true danger. One more thing, it might not be a bad idea to assess and evaluate your diet. If you're burning more energy, you're going to have to adjust your diet to compensate and match the new utilization and expenditure of energy. Finally, supplementation might not be out of the question even if it begins as basic as adding a daily multivitamin to your diet. Thanks. Exactly what I was looking for as many of the drinks are too sweet for me. You bet. It’s also offered in individual packets, but you pay more. I just add the level I want to my water bottle..done. Looking up your Fugi I was happy to find a triple chain ring. You will need granny from time to time. I too am 71 and am not reluctant to spin up grades saving the knee joints from excess stress. My left eye center of vision has been very poor since infancy. So I use bar-end mirrors. They are inexpensive and easy to fit on flat bars as the grips just have to be moved in a bit. Look up dehydration and dementia... stay hydrated, our 'I'm thirsty' brain signal starts to misfire after 60, so judge hydration by the number of times you pee during the day. I still take long fast walks twice a week even though I'm averaging 100+ miles a week on my bicycles. Once 270# now 215# at 6' seek just under 200#. BP 105/55, resting pulse around 56 bpm. Tell Google '105 year old cyclist' for an inspiring short read. Quote me or PM me if you need/want moar. Keep an eye on your posture. It's easy to develop a permanent hunched-over position from riding a lot. I do standing dumbbell curls after riding, where I focus on a straight back and perfect posture and form as I lift. I think it helps activate the muscle memory of standing up straight, which is easily lost if you spend a lot of time on the bike, especially if you're older and prone to hunching over more, due to age. +1 to this. I put off a fitting just because I didn't want to pay the money. Foolish of me. After my fitting I felt like a new person on a new bike. Knee pain gone. The species name for these creatures you've noticed, I believe, is "MAMILs" Middle Aged Men In Lycra. I think they are maintaining that fast pace by putting out so much effort they have no breath left for talking. I've gotten nods and/or finger-waves from these folk, as I wave and say some variation of "Hi!" from my built-like-a-tank steel hybrid bike. I think they put all their mental effort into maintaining their form and keeping their bodies at the bleeding edge of their aerobic threshold. Oh, and I've also found that bike riding can reign in the lower back problems that I was starting to have before I restarted riding, a few years ago. I do need to start doing some upper and core muscle building though. I'm starting to develop legs like a gnarly oak tree, while my arms are more like twigs, and my torso a skeletal anatomy display. Last edited by David Bierbaum; 07-13-18 at 05:11 PM. Osteoporosis: A natural (and common) condition of loss of nutrients (osteopenia) in the bones. One the will occur whether you ride or not. A bone supplement, plus regular exercises to strengthen the back area should help ward off the condition for as long as possible. Not osteoporosis. And you're prescribing me supplements too? Great. Internet doctor's orders? First, supplements are not prescriptions so don't exaggerate. Second, I wouldn't ask you do do anything that I would not do. So what works for me I just tend to share with others. Lastly, I was not suggesting that you were describing the condition osteoporosis, rather, spring boarding from your point that its something additional (and compounded by the posture) to be aware of and therefore, I suggested a natural remedy.